Every now and then a Switch eShop game falls under the radar. That’s might be the case with Trybit Logic, which just came out stateside last week and lands in Europe tomorrow. Trybit Logic is a puzzle game made by HIMACS. 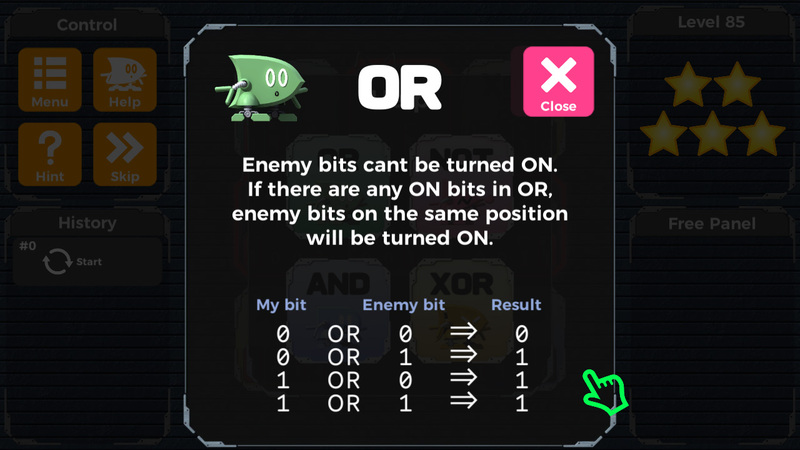 We’re told that it caters to engineers and those with a programming mindset by exploring bitwise operators. The series, which is also on mobile, has been well-received in Japan with over 350,000 downloads. NEP G.K. has localized the Switch release and is looking to connect with fans interested in the engineering side of games and bring similar content to an English-speaking audience.